I sold this repurposed window today. When I got this solid oak window frame it was in really bad shape. It had screen stapled to the back...I don't think that it ever held glass as there were no grooves around the edges. 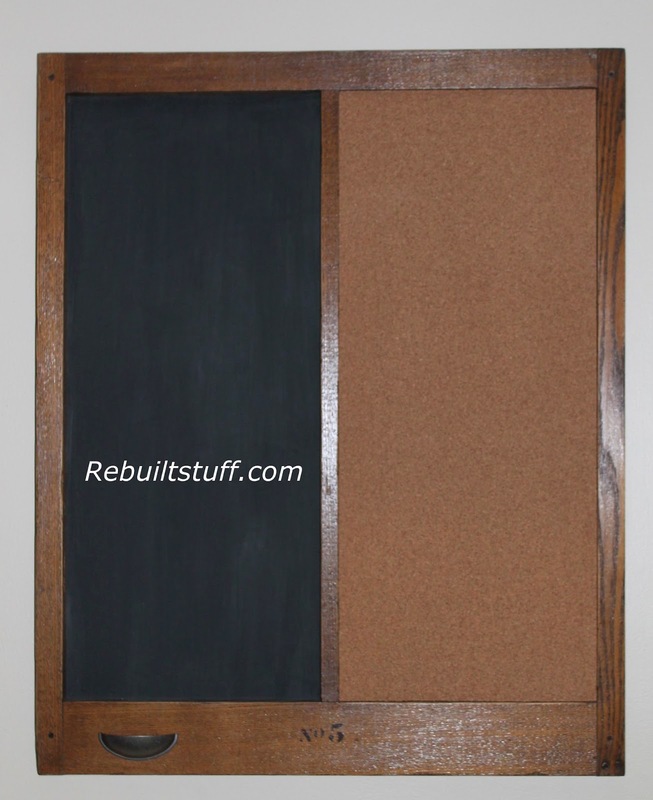 It is the perfect size for a chalk board/bulletin board combination. A drawer cup holder is a perfect chalk holder. I understand the new owner is really going to get organized!